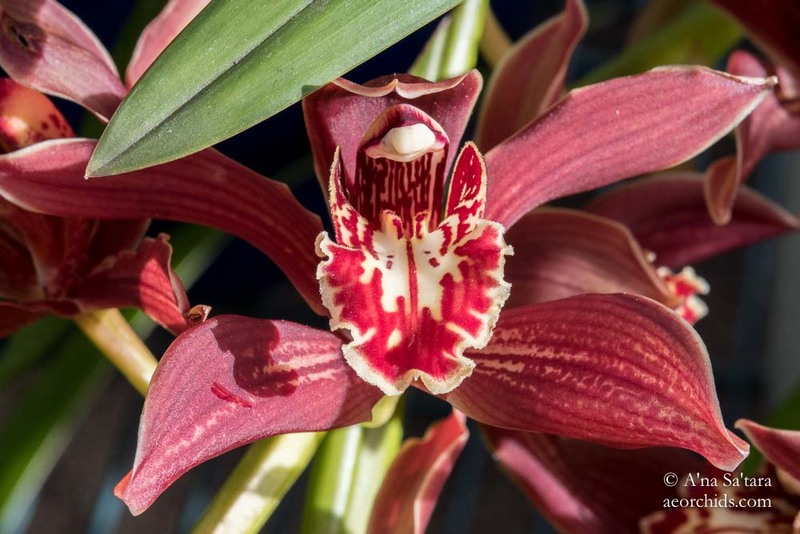 Possibly the darkest and richest colors of this grex, Cymbidium Pywacket ‘Heatherrich Hills’ is a prolific bloomer for us, with three large flower spikes produced from an uncrowded 1 gallon pot. Blooming in February with near perfect flowers, it is very tolerant of our cold winter temperatures, as are most Cymbidium tracyanum and its hybrids. We usually avoid mid-winter blooming Cymbidium since there’s a higher likelihood of bud damage from temperature fluctuations and wetness. 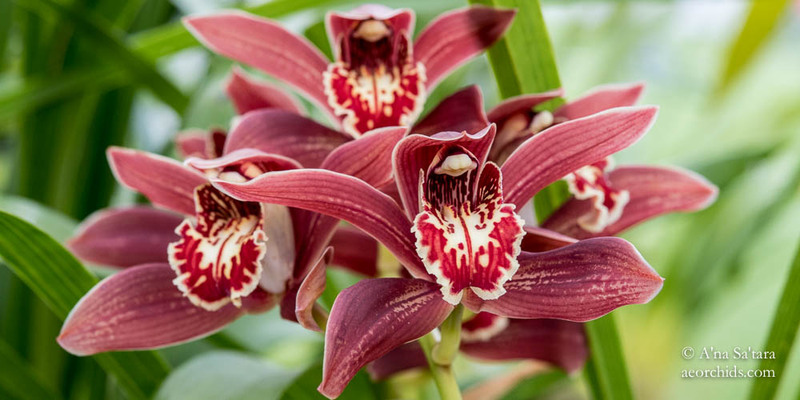 In addition to vibrant flowers, this particular Cymbidium Pywacket has a lovely story. Another Cymbidium Pywacket was one of my husband’s first Cymbidium divisions, which he picked out from a sale pile at the Pacific Orchid Exhibition many years ago. 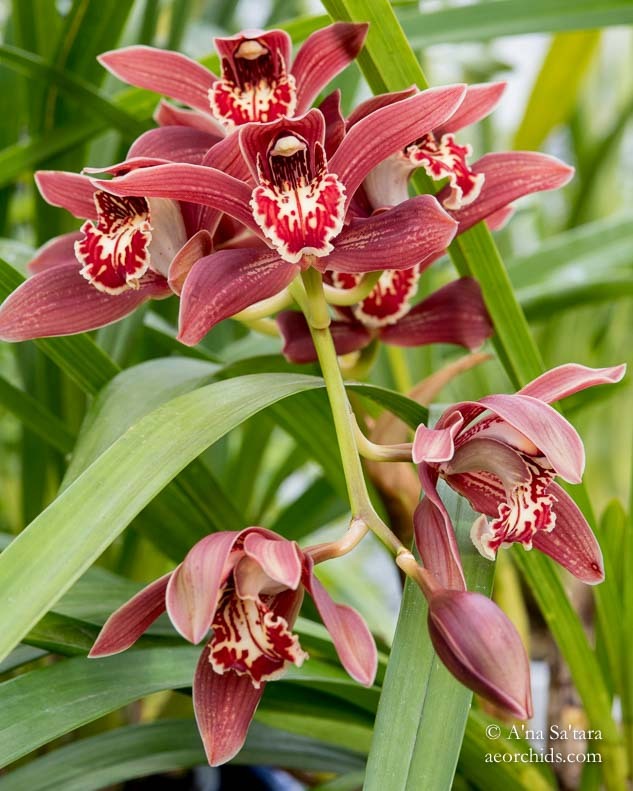 I still remember the two of us, upon returning home, standing at the outdoor orchid bench, embarking upon our maiden voyage of potting up a Cymbidium division. Back then, we were so worried about damaging the Cymbidium roots, from our experience with Paphiopedilum and Dendrobium. 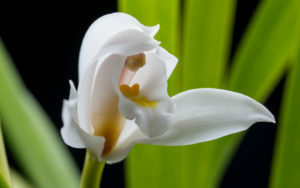 We have since learned how tough Cymbidiums truly are! 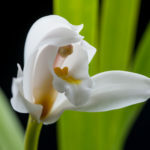 Sadly, it was not a very good Cymbidium division, and succumbed to a fungus a few months later. We really tried to save it, but eventually conceded. Ever since then, I’ve been on the lookout for a “new Pywacket” for Paul. While certainly not an uncommon Cymbidium hybrid grex, we never encountered another that we really liked. Until last spring. We arrived early at the local Cymbidium society show, and combed through the sale plants of one of the best growers. 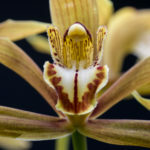 I found this Cymbidium Pywacket ‘Heatherrich Hills’! 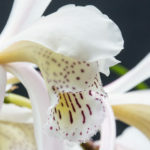 It was one of the most expensive Cymbidium that he had for sale, but the plant looked excellent and the grower assured us it had a very fine flower. He was right, as you can see from the photographs! 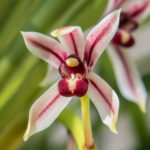 So, for Valentine’s Day this year, Paul had three magnificent spikes of a Valentine-colored Cymbidium Pywacket in bloom.